Looking for the Best Grow Tent for growing cannabis in 2019? For the uninitiated, Apollo Horticulture is a company that many seasoned cannabis growers are pretty familiar with. While it does not have as many grow tent options as Gorilla or Secret Jardin, its limited product range is pretty impressive in terms of quality and reliability. Apollo Horticulture offers seven different tent sizes, which is much fewer than the options available at Gorilla and Secret Jardin. However, for what it lacks in variety, it makes up for it with consistent quality. All of Apollo Horticulture growrooms are constructed using sturdy metal poles for the frame, with high-quality dense fabric, heavy-duty zippers, and 100% reflective Mylar lining for the tent interior. Grow boxes can be used to grow any other plants that you like, but for today, we will be focusing on only growrooms for growing cannabis. This time, we have selected the top-rated grow tents by size based on some of the more popular sizes that people usually go for when it comes to growing cannabis: 2×2, 2×4, 3×3, 4×4, 4×8 and 5×5 grow tents. 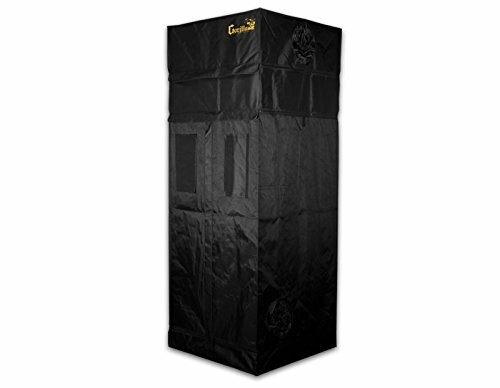 If it were up to us, we would have populated our list of top rated grow boxes with Gorilla grow tents. After all, Gorilla is one of the companies that offers the widest variety of growrooms in terms of sizing and customization. The LTGGT22 is one of the Gorilla grow tents that we simply had to list as the best overall when it comes to the best 2×2 tents. This is a tent from Gorilla’s Lite product line that allows you to get a tent with a lower starting height with the flexibility to adjust the height later. Although the LTGGT=T22 is very compact, you can get a lot out of your grow space if you use the Sea of Green method in planting your cannabis (i.e. force the flowering of the weed at a young age). 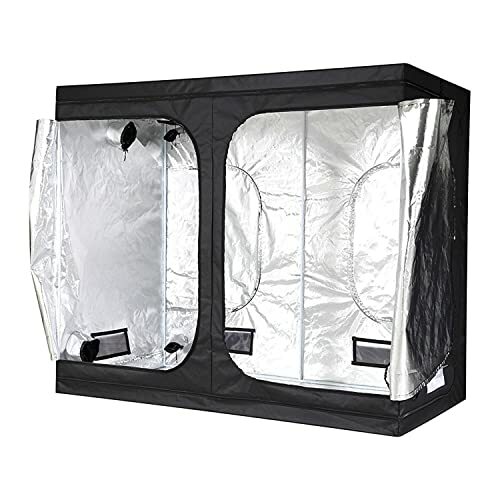 You can manage to pack up to 18 plants in your entire grow space within this 2×2 tent. Material wise, the LTGGT22 uses an all-steel frame that can be secured by interlocking. 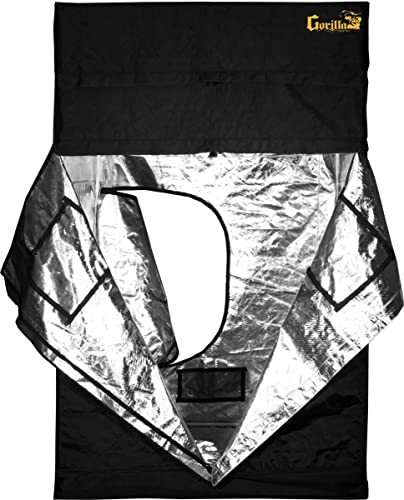 The tent fabric is of 210D density and it is lined with Mylar for the highly reflective qualities that will help to maximize your yield from the cannabis plants. Sturdy zippers also help to minimize any weak points that might cause wear and tear on the tent. In addition to these staple features, the LTGGT22 comes with extra features like the viewing windows that reduce the need for you to open and close the tent. The downsides? For a price just below $150, the LTGGT22 is on the pricier end for a 2×2 tent. Also, you will have to purchase extension poles separately. That said, the LTGGT22 is much cheaper than Gorilla’s other signature tents. What’s more, there aren’t that many growrooms that offer the flexibility to extend the height of the tent subsequently. 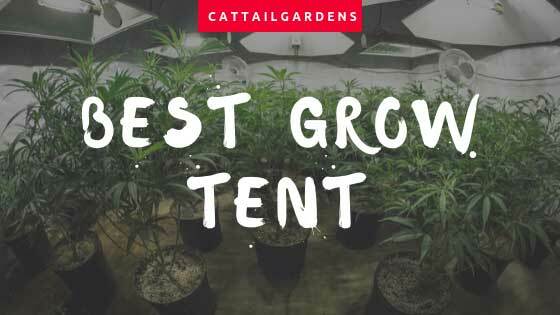 All these are why we think the LTGGT22 tent makes for the best overall from our list of top 10 growrooms 2018. For almost half the price of the LTGGT22, you can get Quictent 24in by 24in by 55in grow tent that is suitable for growing indoor plants for a 2ft by 2ft area. The Quictent grow box prides itself on being an SGS approved growroom, which means that it is non-toxic and will not release any toxic gases that may damage sensitive plants. It also boasts of no light leakage because of the Mylar lining that will provide a conducive environment for plant growth. Its canvas density is also very impressive at 600D which makes it very tear-resistant and also great for blocking out the light. Many reviews have remarked that this grow box is indeed sturdy with its well-constructed steel poles to hold the frame in place and a strong anti-burst metal zipper that is designed to slide easily but also hold up despite active usage. The Quictent comes with a two-year warranty. The only complaint about this product is the inability to customize or adjust the height, unlike the Gorilla model we discussed earlier. That said, this is an economical solution if you are on a budget and don’t want to skimp on the quality of your grow box. We have to say that the Quictent is unbeatable for its great features at an affordable price tag. Definitely, the best 2×2 grow box for its value! As with all Gorilla grow tents, the GGT24 tent is no exception when it comes to the quality and reliability of its build. The GGT24 comes with 100% metal interlocking, a well-built frame and connectors to ensure that the tent structure is stable. Like the LTGGT22, the GGT24 comes with view windows that give you easy access to viewing your grow space without having to unzip your grow box. There are other enhanced features such as the thicker canvas density at 1680D and an infrared blocking roof insertion that helps to keep the surface temperatures within the tent cool. On top of that, the 12in extension kit is included free of charge when you purchase the GGT24. You can extend the height of your grow box up to 10ft tall with the help of this extension kit. With the larger layout, you won’t have much trouble maneuvering through your growth tent and the doorways also make for easier 360-degree access. Bug-resistant pre-filters also help you keep pests at bay. As with all gorilla grow tents, this tent is also equipped with diamond reflective technology to help ensure that all light is evenly distributed throughout the tent with no light leakage. To add on to this, the GGT24 has some of the good-to-have features that we mentioned earlier: a tool pouch that can help you have convenient access to the tools you need to manage your growing space and a flood pool to contain any large water spills. At under $350, this is an exponential increase in price compared to the LTGGT22, but certainly not unwarranted given the number of additional features the GGT24 comes with. That is why it is our top overall 2×4 choice for the top rated grow tent 2018. For a budget option, the Apollo Horticulture at 48 in by 24 in by 60 in is available for a fraction of the price of the GGT24 tent. This grow box also comes with metal poles for a sturdy frame. While the tent material may not be as thick as that of the GGT24, most customers seem to be satisfied with its performance with the majority of them reporting no leakage of odors or pests sneaking into the tent. 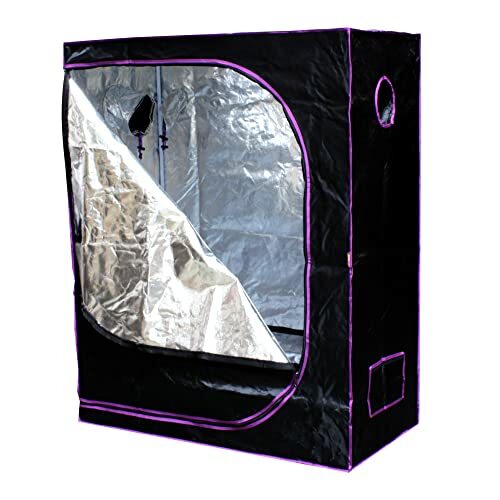 The Apollo Horticulture tent also makes use of highly reflective Mylar material to increase the intensity of the grow lights and retain the heat that will be conducive to your cannabis plants to grow. Another extra feature is the removable Mylar floor tray that can help to hold water spills and also add to the reflective lining to assist in maintaining the light intensity and temperature in the grow tent. The icing on the cake? A 30-day money back guarantees and a 90-day warranty on this tent. The grow box reviews so far have painted a pretty good picture of Apollo Horticulture when it comes to them honoring the money back guarantee and the warranty, so it’s definitely good to know that. For below $100, we definitely think that this Apollo Horticulture grows tent is a steal! If you want the best value for a 2×4 to grow tent, this is the tent that will not have you breaking the bank. At 3ft by 3ft by 6ft 11in, the GGT33 is essentially a similar version of the GGT24 except for the size (GGT24 is 2ft by 4ft by 6ft 11in), equipped with the same features that Gorilla is so proud of: 1680D canvas density, sturdy frame, and interlocking system, infrared blocking in the roof insertion, a tool pouch for convenient storage of tools, a free 12in height extension kit, diamond reflective technology, among many other Gorilla grow tent features. Most customers found the quality of the GGT33 to be top-notch, except for a few customers who had bad experiences with poorly stitched grow tents. For the best overall 3×3, we would definitely recommend that you consider the Gorilla GGT33. The Apollo Horticulture consistently trumps the Gorilla tent when it comes to price. Indeed, while Apollo Horticulture cannot beat Gorilla in terms of the latter’s variety of products and swanky features, it makes up for it by offering value for money, at prices that Gorilla just can’t beat. The 36in by 36in by 72in Mylar Hydroponix grow box by Apollo Horticulture is pretty much similar to its 48in by 24in by 60in version except for the size, offering dense tent material, sturdy frame structure, highly reflective Mylar material for the tent interior, a removable Mylar floor tray as well as the 30-day money back guarantee and 90-day warranty. Price wise, it is also pretty comparable and priced below $100 too. The reviews for this Apollo Horticulture tent are also pretty consistent with the reviews we’ve seen for the other Apollo Horticulture model. Many customers are pleased with its sturdy build and absolutely thrilled to get a quality product at an affordable price tag. That’s why the Apollo Horticulture 36in by 36in by 72 in grow tent is hands-down the best value for a 3×3. Gorilla consistently outperforms and there is no exception with its GGT44 grow tent. Sized at 4ft by 4ft, this is a great size for you to grow up to 64 plants without compromising on the conditions of the growing space. In terms of supply, this means that you will most likely always have an abundant supply of weed. Most reviews on the Gorilla GGT44 have remarked that this is a great tent that is worth the price tag. While there are some who experienced unfortunate manufacturing defects, it seems that Gorilla is generally prompt and responsive in providing the necessary customer service. 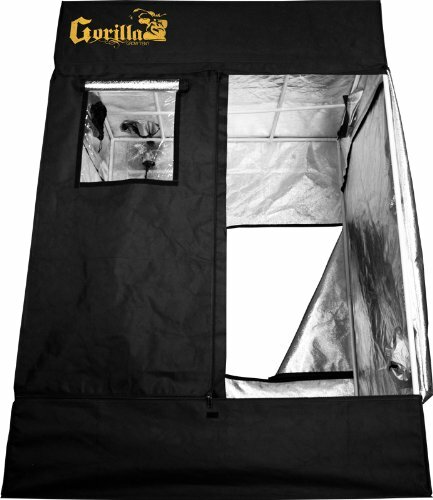 Don’t miss out on the chance to snag a great deal for one of the best grow tents! The Gorilla GGT48 has hit the sweet spot with customers having mostly rave reviews about this tent. Compared to the GGT24 and GGT44, this model seems to have very low manufacturing defect complaints on average. The majority of the reviews for GGT48 are nothing short of high praises for the quality build and its durability. There’s nothing different here though, other than the size: sturdy metal frame and interlocking system, 1680D canvas density, windows for easy viewing, a 12in height extension kit, except that maybe it doesn’t come with a tool pouch, which isn’t a big deal. Some downsides that are not really downsides since they are typical of bulkier tents: you may need two to three persons to help you when setting up the tent. For the best 4×8 in terms of overall performance, look no further from the Gorilla GGT48! Finally, another brand breaks the running lead by Apollo Horticulture when it comes to the grow tent that provides the best value for money. For the 4×8 category, we decided that the iPower 96in by 48in by 80in Hydronic would be a worthy mention and here’s why. This tent has similarly good features that the GGT48 has, probably with the exception of the 1680D canvas density and windows for easy viewing. In the grow tent reviews, most customers concur with iPower’s claims of the grow tent’s heavy-duty zippers and double-stitching of the material which prevents light leakage, the sturdy metal-framed structure, adjustable vent doors, reflective walling in the interior of the tent, and they also liked the water-resistant removable tray which we typically consider to be an extra feature. This is why we have decided to crown this iPower the grow tent for your buck in the 4×8 category. For those with more ambition and want to step up your game, you can consider getting 5×5 to grow tents that can hold up to 100 plants. With tents this big, you also get to enjoy the luxury of unrestricted access to “patrol” your grow space. That said, you would still want to maintain the security of your grow space to prevent any damage to your plants. Gorilla wins the best overall category again with its GGT55 tent at 5ft by 5ft by 6ft 11in. The remarkable 1680D canvas density for this tent, and most of Gorilla’s high-end tents is simply unbeatable. None of the other competitor products have been able to boast of a comparable or a higher thread density than Gorilla. Like the other signature Gorilla tents, the GGT55 has two windows for you to keep an eye on what’s happening in the tent without entering it all the time, an infrared blocking on the roof of the tent for security, a 12ft extension kit for you to extend your tent if necessary, amongst many other signature Gorilla features. Like the GGT48 tent, you may need some extra help when it comes to setting up the GGT55. Otherwise, this is definitely a keeper for the grow tents within the 5×5 category! To ensure that you get the best grow tent 2018 for your money, here are some features that you should definitely look out for when you are searching for the tent. Size matters. There are many different sizes of tents in the market and you need to choose the size that’s suitable for the amount of weed you intend to grow and the amount of available space that you have to grow the weed. The smallest tents are usually 2ft by 2ft and the largest tents can go up to 10ft by 10ft. 2ft by 2ft tents are ideal for your mother plants. Moving up to 2ft by 4ft and 3ft by 3ft tents, these are good options if space is a constraint. Otherwise, a 5ft by 5ft tent would be the most typical size if you are looking to have a bumper harvest for your weed. Anything larger than that, and you’ll have to make sure that you have a large enough space to accommodate your tent. Since the tent is meant for protection, a strong dense fabric is generally the way to go. Dense fabric is great to keep out any odor and also helps with noise control. With denser fabric, your grow tent is also likely to be more durable and less prone to wear and tear. The denser fabric also makes it harder for pesky pests to invade your tent and destroy your plants; they will have a hard time penetrating a fully zipped up tent that is made of sturdy canvas fabric. Besides the obvious, you should also note that a denser fabric also helps to keep the light within the tent and prevents light wastage or loss. You can look at the denier (D) count to figure out the density of the fabric material for the grow tent. You want your tent lining to be reflective so that it helps to distribute light evenly around all your plants in the tent. Reviews are a good way to check if any users have had issues with the tent lining of the grow tent model. Generally, mylar lining is the preferred lining because of its reflective properties. Besides the material, the pattern of the lining also matters. The diamond-patterned lining also helps to maximize the light from your grow lights. The last thing you want is a grow tent that suddenly collapses and destroys all the weed that you were growing inside. The best grow tents should not skimp on the frame material. Look for tents with frames that are made from steel poles with snapping mechanisms that can be snapped into place tightly without giving way. If you want a tent that can be adjusted to different heights, look for tents that have height adjustable poles as part of the frame so that you can slip on extension poles which can be purchased separately. Zippers are important to keep your grow tent zipped tight without any holes or gaps that might result in light wastage or worse still, the perfect entrance for nasty and unwanted pests. You don’t want to reduce the efficiency of the grows space you have set up in your tent or allow unwanted damage to your plants. Often, the quality of the zipper is not something that is particularly apparent from the product description of the grow tent; reviews may provide you with a more reliable source of information on the actual quality of the zipper. Zippers are the part of the growth tent that is frequently used, especially throughout the course of the growing season when you need to unzip (open) and zip up (close) your tent. For an enclosed area, ventilation is essential to make sure that there is good air circulation within the growth tent. 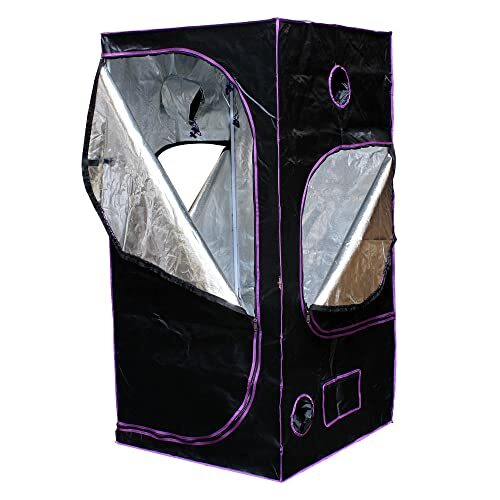 The best growth tents come with ventilation flaps that can be Velco-secured and exhaust ports so that your weed can get fresh air when needed. A grow tent provides the ideal indoor growing environment for plants just like a grow box with the creation of a growing chamber. What distinguishes a grow tent from a grow box is its structure. Generally speaking, a grow box tends to be made with components that are tougher and meant to be more permanent. A grow tent, on the other hand, allows you to take you to grow chamber apart whenever you want to. Most tents are made using fabric, usually heavy canvas fabric, rather than powder coated aluminum, which is typical of grow boxes. Reasons to Use a Grow Tent? Why would you want to grow plants in a tent? Well, there can be many good reasons for that. Specifically, in this article, we will look at the top benefits of using grow tents when it comes to growing cannabis. 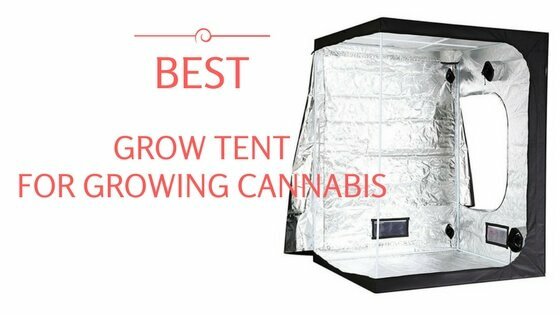 First of all, grow tents are a good way to grow cannabis indoors. If you are growing cannabis in your household, do it indoors is a good way to prevent any unpleasant neighborly disputes because of the strong odor mature cannabis emit. But you wouldn’t want the strong odor to permeate through your entire home, would you? A grow tent can help to contain the odor in the tent so your entire home won’t smell of weed. Growing cannabis indoors is also a good way to protect your cannabis from any unexpected weather elements or pests that may end up destroying your cannabis if you have them grown outdoors. Next, the grow box also resolves problems that come with growing cannabis indoors. Sunlight and temperature are crucial to the healthy growth of cannabis, as with any other plants. If you grow your cannabis indoors, you will most likely be using artificial lights like LED grow lights to ensure that your cannabis gets the light exposure that it needs in order to grow. This is where the grow tent can help. A grow tent amplifies the power of your grow lights so that your cannabis can get the light intensity it needs. The reflective walls in most tents also help to distribute the light evenly around all your plants so that no plant is left out or overexposed. When the lights are off, the grow tent provides complete darkness that is also highly essential for the cannabis to “rest”. Grow tents can also help to maintain the optimal temperature for your plants. Even if your cannabis is growing in the basement where it might be colder, the grow tent can help to keep your plants sufficiently warm. 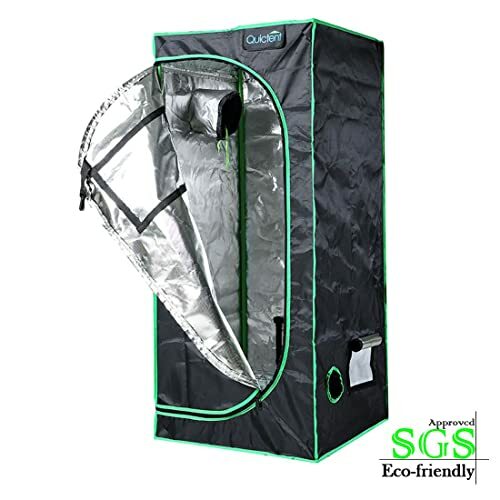 Some of the grow tents are also equipped built-in ventilation systems so that there is good air circulation to keep the weed from overheating or neighbors from smelling it when you are in the midst of a harvest. Extra features are not must-haves, but good-to-haves, when you are searching for the right, grow tent for you. This could be the difference between an average grow tent and a grow tent that has all the same features plus one or two extra features for the same price! Also called a flood tray, this extra accessory isn’t just for show. It is a great control in the event of any water overflowing in your grow tent. This is usually used to line the bottom of your grow tent and it will help to contain any huge water spills that might otherwise “drown” your weed. These allow you to see what’s going on inside the grow tent without having to unzip your tent and introduce unnecessary elements to your tent in the process. This can be really handy if you are using augmentation and you want to avoid the scenario of carbon dioxide flooding you’re grow area when you unzip the tent. When managing your grow tent, there are bound to be some tools and equipment that you need to use from time to time. Instead of having them placed elsewhere and having a hard time finding them when needed, you can store them in storage pockets if your grow tent happens to be designed with storage pockets. That way, you can have your equipment in a jiffy, think stationery, magnifiers, pH meters, and other equipment, that you typically use as part of caring for and maintaining you grow space. Trellis netting can provide the support that your plants might need as they get heavier with the buds forming and eventually enable you to grow larger and fatter flowers down the road. Now that you have a clearer idea of grow tents and the features to look out for, we would like to introduce some of the tops grow tent brands that you can consider during your hunt for the grow tent 2018 reviews have indicated that these brands are still amongst the favorites when it comes to selecting the right to grow tent, particularly when it comes to growing weed. Gorilla is one of the industry heavyweights when it comes to growing tents. What started off out of a frustration with the lack of good indoor hydroponic and soil tents among a group of California growers in 2011 has since grown into a sizable company that specializes in professional-grade tents that are touted to be strong, trusty, intelligently designed, and made to last. Today, Gorilla offers three main product lines: the original large-sized tents ranging from 2ft by 2ft 6in by 5ft 11in up to 10ft by 20ft by 6ft 11in, the shorty tents which are more suitable for the early planting stag ranging from 2ft by 2ft 6in by 4ft 11in to 4ft by 8ft by 4ft 11in, and the LITE versions which have a lower starting height than the other signature tents with the same flexibility to adjust the height with the help of a separately purchased 1ft extension kit. All gorilla grow tents come with a one-year warranty. Secret Jardin grow tents have a slightly longer history than Gorilla; the company started out in 2006 and was among the first few manufacturers to recognize and harness the powers of Mylar in grow tent linings. Today, Secret Jardin offers a wide range of grow tents for different needs, with four main categories: expert, professional, hobby and propagation. 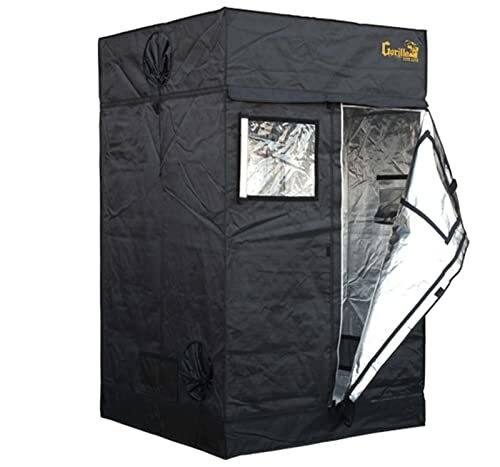 All grow tents are suitable for growing cannabis and depending on your needs and your scale, you can choose from the different grow tent ranges that Secret Jardin offers under its four main categories. 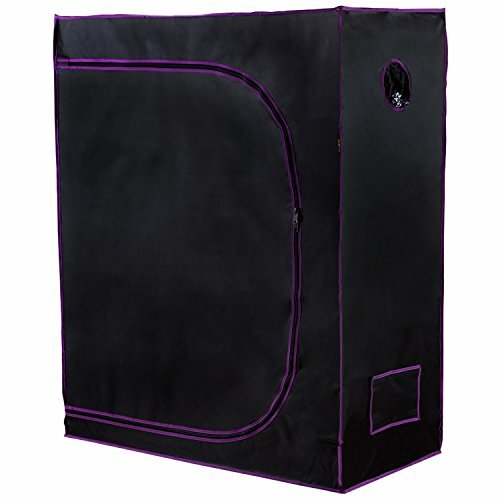 Some of the grow tents from Secret Jardin come from its Dark Room range under the Professional category. Now here are some frequently asked questions about grow tents that we thought we could help you address. 1. Can I use a grow tent for hydroponics? You may have realized that the Apollo Horticulture grow tents have the word “hydroponic” in their names. Just in case you don’t know what that means, hydroponics basically refers to growing plants without soil. Going back to the question, yes, you can certainly use a grow tent for hydroponics. In fact, most people buy a grow tent specifically because they want to plant in a hydroponic setting and a grow tent makes it easier to do so with greater control over the temperature and the light exposure for the plants. A grow tent is not exclusively intended for hydroponics though. If you wish, you can also choose to grow your plants in the traditional way with soil in the grow tent. 2. Can I create an indoor garden without a grow tent? Yes, you can create an indoor garden without a grow tent. There are many greenhouses that use glass and not grow tents. A grow tent, as we mentioned earlier, however, gives you the added benefits of having a more controlled environment where you can optimize the conditions for your plants to flourish and maximize the number of plants you can have in the same space. 3. Which one is the perfect grow tent 2018 for me? There is no one size fits it all in this world, and the same goes for grow tents. 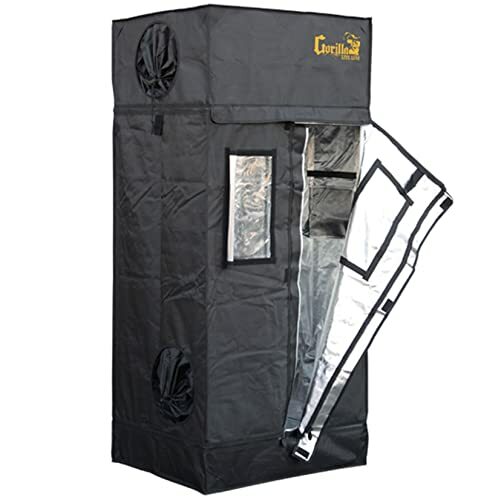 The grow tent is the one that will meet your individual needs. Some typical factors that you should always consider: the size of your grow space (measure the space that you need and plan out how you intend to set up your grow space in the grow tent), the plants you have in mind to grow, your budget and the features that are must-haves or just good-to-haves for you. 4. Do I have to spend a bomb on a grow tent? Absolutely not if you can’t afford it! As you have read from our article, there are many economical options that offer great value. While you do get what you pay for, you don’t need to break the bank if it is just hobby gardening. If you’re more serious about it or maybe running a business, then perhaps you might find it worthwhile to invest in a top-quality grow tent.